Horse Estate! If you love horses, you can have up to 2 horses, 2 sheep or 2 goats!! 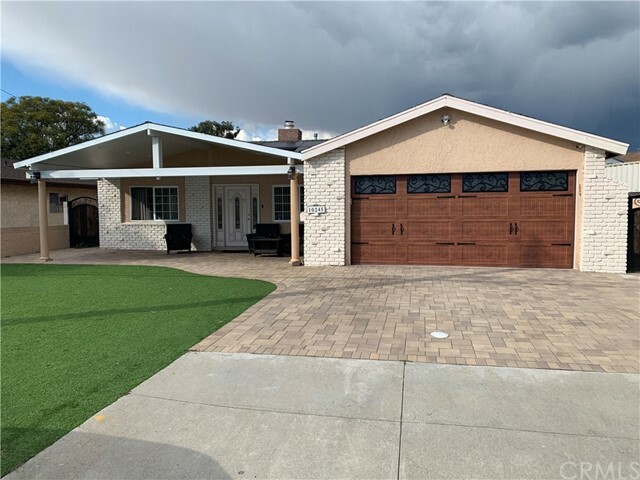 See this beautiful Bellflower horse property with 3 bedrooms and 3 bathrooms 2,112 square feet of construction and plenty more room to add with an impressive 11,225 square feet lot! Lots of improvements, newer kitchen cabinets, granite countertop, tile back-splash, under-mounted kitchen sink, recess lights throughout the house, tile flooring in kitchen, living room, bathrooms, and family room. Hardwood flooring in all bedrooms, ceiling fans, and central heat and air. Come live the life of comfort at a reasonable price. You will have it all, large home, close to Downtown Los Angeles and Orange County. Zoned Agricultural Estate so the following regulations apply: any combination of fish, frogs, chickens, ducks, pigeons, guineas, chinchillas, or rabbits up to a total of 25 animals. Two sheep or goats, one horse or cow, with a maximum of six animals or animal units. Listing Provided By Gerald LeGris Broker of Berkshire Hathaway H.S.C.P.